Update your dicor adding a bold splash of colour on a soft, crushed microfibre fabric. 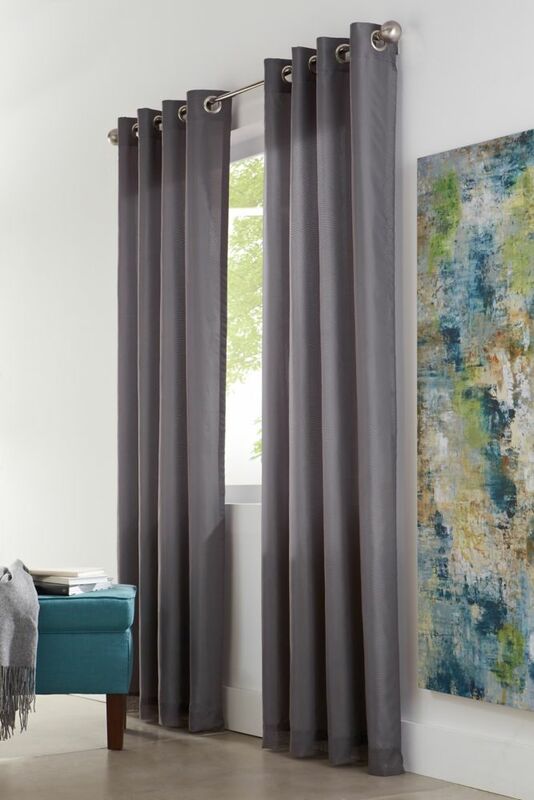 Transform your space with this elegant curtain textured with a menswear look fabric. This panel inspires sophistication in any room in your home. Panel measures 52 inches in width and 108 inches in length. Add a modern touch to your home with this jacquard textured curtain panel designed to enhance your dicor. Panel measures 52 inches in width and 108 inches in length. Dress any window in your home with this beautiful and elegant printed oxford, blackout grommet curtain. Grommet panel measures 52 inch x 84 inch, color navy.